Who's Claudio Castiglioni? This Italian was the brain behind bringing back MV Agusta to the world with high performance super bikes. He along with Massimo Tamburini had developed the original MV Agusta F4 750, which is still one of the most exotic looking motorcycles ever made on the earth. 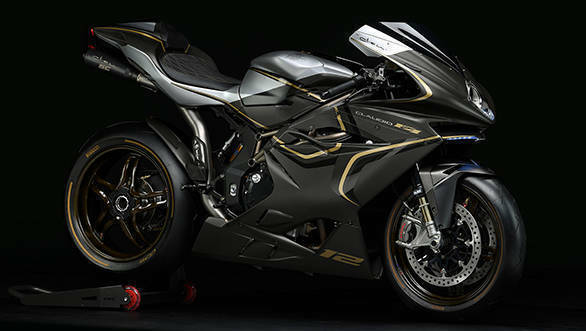 To pay a homage to Claudio Castiglioni, MV Agusta has made a signature edition called the MV Agusta F4 Claudio. This is the last update, priced at $83,012 (Rs 61.07 lakh, excluding tax and duties), that will be given to the F4 series due to the Euro4 emissions norms. A new-gen offering is in the works? Maybe. 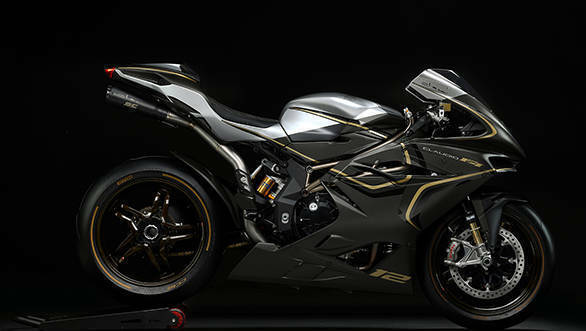 For now, let's focus on the MV Agusta F4 Claudio. Built on the F4 Reparto Corse, the MV F4 Claudio comes with a highly oversquare engine with a bore x stroke of 79mm x 50.9mm. This 998cc engine makes 212PS of power at 13,600rpm and generates 115Nm of torque at 9,300rpm. One would notice the difference in peak rpms for the power and torque ratings and that has resulted in a sporty throttle response, the company states. This engine surely produces an amazing note, thanks to the loud, titanium exhaust system. Also, it comes with a fully integrated MVICS injection-ignition management system. There is also ride-by-wire control that offers four types of maps Normal, Sport, Rain, and Custom. Further, each cylinder makes use of four Mitsubishi and four Magneti Marelli injectors on the inlet and in the overhead positions. The inlet runners too have been specially machined to deliver optimum performance, which in addition to the Reparto Corse special tuning should make it an exciting motorcycle to ride on the tracks. Unlike many, the engine gets a hemispherical head. 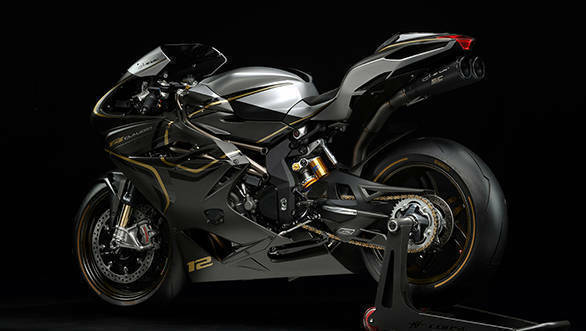 In order to bring down the friction loss in the engine, MV Agusta offers titanium connecting rods and highly polished surfaces inside the cylinder that also helps reach a redlining rpm of 14,200rpm.